Sono ora note ed entrambe confermate le date a Roma e Bologna degli imminenti concerti di Mike e Kate Westbrook, con Pete Whyman e Chris Biscoe, per la presentazione di Art Wolf in una edizione in italiano finora inedita. Sin dagli anni Sessanta, Mike Westbrook è una delle personalità di maggior spicco del British Jazz, autorevole compositore, arrangiatore, bandleader e pianista. A lui si devono alcune delle pagine orchestrali più belle e intense del jazz europeo (da Metropolis a Citadel/Room 315, a The Cortége), ma nell’arco della sua carriera Westbrook si è anche espresso compiutamente alla testa di organici di dimensioni più ridotte, tra cui una Brass Band artefice di una sorta di jazz-cabaret. Assieme alla moglie Kate, cantante, autrice e pittrice, ha esplorato a fondo i legami fra musica, poesia e letteratura, facendo proprie liriche di Rimbaud, Lorca, Hesse, William Blake e altri autori. Il progetto Art Wolf è ispirato all’opera dell’artista svizzero Caspar Wolf (1735-1783), i cui paesaggi alpini sono riprodotti nel libretto allegato all’album omonimo, edito dall’etichetta elvetica Altrisuoni. 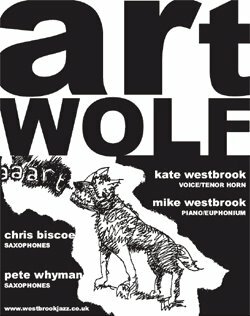 Art Wolf è, al pari di numerosi altri lavori portati a felice compimento da Mike Westbrook, un eccellente esempio di incontro fra classicità e modernità, fra tradizione e sperimentazione. In ricordo di Elton Dean è annunciato un importante evento musicale a Parigi, e la data dovrebbe essere quella del 27 maggio prossimo. 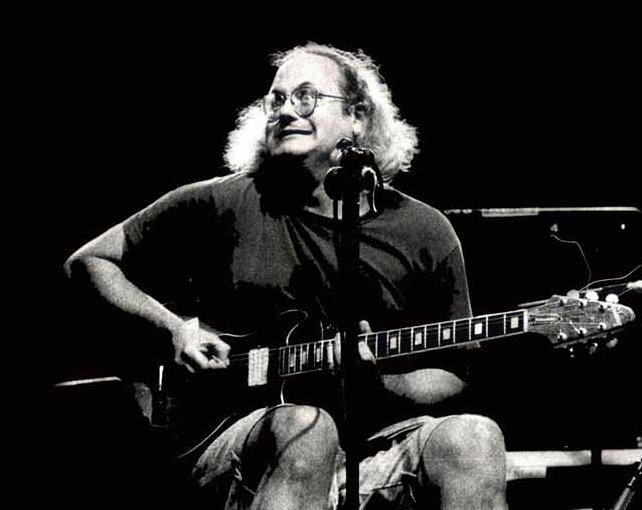 Tra i partecipanti ci saranno John Greaves, Pip Pyle, Phil Miller, Hugh Hopper, Patrice Meyer, Richard Sinclair, Didier Malherbe, Sophia Domancich, Simon Goubert e dozzine di altri. Dublino - anticipando analoghe iniziative che si terranno nel corso dell'anno a Londra, New York e Los Angeles - celebra questa settimana il settantesimo compleanno del compositore newyorchese Steve Reich dedicandogli un'edizione del festival RTÉ Living Music a dir poco stratosferica. Programma e informazioni si trovano a http://www.rte.ie/livingmusic. Steve Reich is an icon of American music, whose music spans all genres from new classical to electronica. Reich's instantly recognisable musical language combines rigorous structures with propulsive rhythms and supple instrumental colour. Many choreographers have used his scores, including Anne Teresa de Keersmaeker, Jiri Kylian and Jerome Robbins. 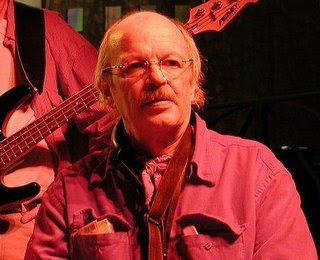 The recording of his work Different Trains earned him one Grammy Award for Best Contemporary Composition and Music for 18 Musicians earned him his second. His video operas The Cave and Three Tales, (in collaboration with video artist Beryl Korot), have expanded the boundaries of the operatic medium. 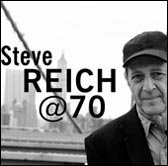 Steve Reich's 70th birthday falls on October 3rd, 2006 and celebratory musical events are currently planned in Dublin, New York, Los Angeles and London. Si sono svolti stamattina i funerali di Elton Dean. Tanti amici e colleghi - tra di loro P. Dunmall, E. Parker, H. Hopper, M. Ratledge, M. Sanders, L. Coxhill, J. Dvorak, P. Pyle, J. Greaves, S. Domancich, P. Rogers - sono intervenuti a fianco dei famigliari. Una commemorazione del compianto musicista verrà presto organizzata al 100 Club londinese, luogo di tante fondamentali tappe musicali nella storia del jazz britannico (e non solo). Brutte notizie ancora, ancora. Elton Dean è morto ieri sera a Londra, in ospedale, dopo un difficile periodo di cure e convalescenze per problemi di cuore e di fegato. Hello and welcome to tonight's festivities. We are delighted you could join us and we hope you will enjoy an evening remembering the fun we all had some forty years ago. Rediscovering the material certainly proved a refreshing and exhilarating experience and we hope that by ten o'clock tonight you will feel the same! 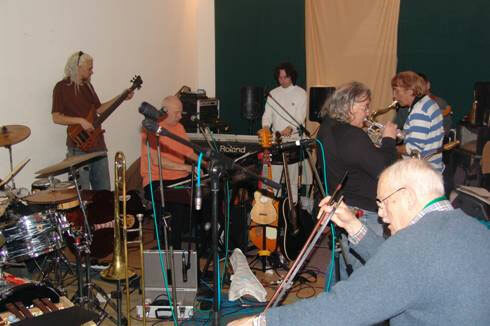 In rehearsal it soon became apparent that there was a wealth of Bonzo material all trying to muscle its way into the set (which is now running close to two hours) and faced with a 10pm curfew, we have been forced to save the Rutles material for another night. Those who would otherwise have been Rutles are still here thought, and have been adopted into the extended Bonzo family for the night. FILMING Tonight's show will be filmed for DVD and television broadcast, so if you don't want to be risk being seen on telly please enquire at the box office for a refund and help put a smile on the faces of the poor benighted ticket-less souls out there. PHOTOGRAPHY Unfortunately we cannot allow any photography or recording on to mobile phones. The normal policy on these occasions is to collect these items and return them after the show. However, we have agreed with the venue that as our audience is slightly more... er mature there is no need to go to such lengths. So please help us and don't try to sneak any pictures and please, please switch off all mobile phones for the duration of the show. TIMINGS Tonight's show will start at 7:30 prompt with a return to the roots of the Bonzos in the Tiger's Head days. There will be a 15 minute interval at around 8:15 before we career into the electric era. NB The show ends at 10pm prompt. SPECIAL GUESTS We are thrilled that a number of friends from the world of comedy have bravely agreed to join us so please give them your wholehearted support as they make the leap into the world of music. They will really appreciate your support. AUDIENCE PARTICIPATION We will of course be inviting your participation and warmly invite your "baas", "ruffs" and "yoo-hoos" at the appropriate moments so please don't be shy ... with so much to remember though, unscripted interjections are less welcome. THANK YOU FOR ALL YOUR SUPPORT... Neil Innes, Roger Ruskin Spear, Rodney Slater, Sam Spoons, Bob Kerr, Vernon Dudley Bohay-Nowell and 'Legs' Larry Smith. In attesa del DVD - o dello speciale TV per la BBC, che dubito molto si possa vedere da noi - si può consultare online una documentazione dell'evento e dei suoi preparativi, con molte foto fuori scena.